Buy 1 for $21.30Buy 2 / Save $1.14!Buy 3 / Save $4.26! In Africa, the plant is being investigated for its ability to help control Bilharzia, a parasitic attack contracted by bathing in water containing certain snails. The primary chemical constituents of Poke Root include triterpenoid saponins, alkaloids (phytolaccine), phytolaccic acid, formic acid, lectins, tannin, antiviral protein (PAP), fatty oil, resin, and sugars. The alkaloid constituents are fundamentally nitrogen containing molecules that have a marked effect on both animal and human physiology in varying roles - from pain killer to poison. Tannins have the effect of precipitating protein molecules, producing a sort of "leather coat" on the surface of tissues. Little documented evidence exists as to the specific beneficial role of the phytolaccic acid. Poke Root is broadly described as an alterative, purgative, and emetic. An alterative is any herb which will gradually restore the proper function of the body, and increase health and vitality. They act to alter the body's processes of metabolism so that tissues can best deal with the range of functions from nutrition to elimination. Emetics are herbs that cause vomiting through irritation of the stomach or nervous system. A purgative is an herb which has the effect of causing rapid and violent diarrhea. In large doses, Poke Root may produce gastro enteritis with concomitant vomiting and diarrhea. It acts as a depressant on the respiratory and cardiac centers, and depressing the visual and auditory senses. Known topical applications of this herb have included its use as a poultice for boils, fungal infections, skin and breast health issues, and as a compress for mastitis. A poultice of the berries has been used on boils, ringworm, skin rashes and wounds, and as a salve for bedsores, carbuncles, chickenpox, eczema, fungal infection, hemorrhoids, measles, psoriasis, and shingles. Will this help heal a boil without a head? Bringing the cyst to a point where it can be drained? Can you use Poke Root for sinus? 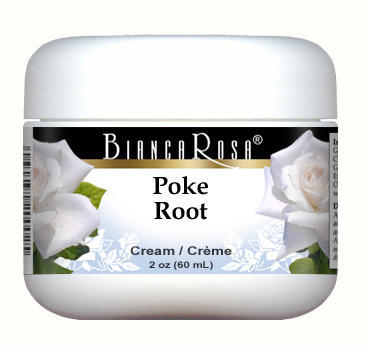 Poke Root has a wide range of uses and is a valuable addition to many holistic programs. The root has a very favorable influence on the glandular system, inciting and increasing its action. It regulates the liver and bowels, cleanses the blood, and is highly valued in conditions due to impurities in the blood. Known topical applications of this herb have included its use as a poultice for boils, fungal infections, immunity, and as a compress for mastitis. A poultice of the berries has been used on boils, ringworm, scabies and wounds, and as a salve for bedsores, carbuncles, chicken pox, eczema, fungal infection, hemorrhoids, herpes, measles, psoriasis, and shingles. I have not found any information to suggest that Poke Root would be useful in helping with sinus problems. If you are interested in an herbal remedy specifically targeted towards assisting with sinus congestion, may I suggest Horseradish Root, Echinacea, Garlic or Goldenseal. Not to be used during pregnancy and lactation. Do not exceed recommended dose. If irritation or redness occurs, discontinue use immediately.